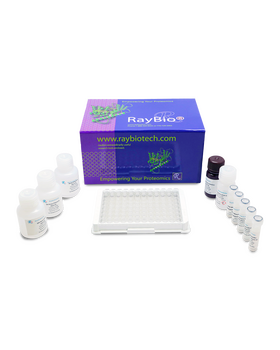 RayBio® Human Phospho-ATR (Thr1989) ELISA Kit. 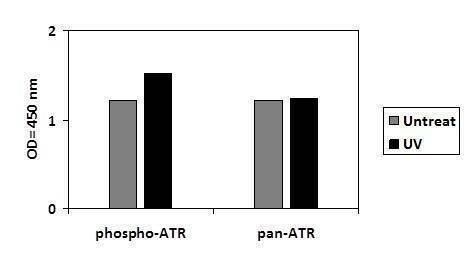 This assay semi-quantitatively measures ATR phosphorylated at Threonnine-1989 in lysate samples. 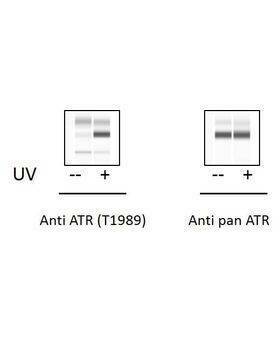 This ELISA kit recognizes Human ATR phosphorylated at site Threonnine-1989. 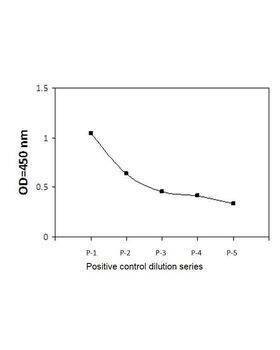 T47D cells were exposed to 50J/m2 of UV light followed by a 4 hours recovery period. Cells were solubilzed at 4 x 107 cells/ml in Cell Lysate Buffer. 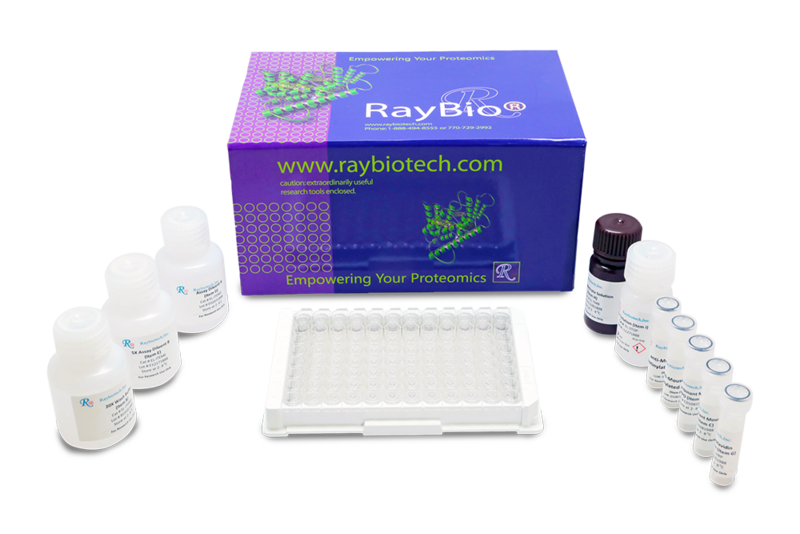 Serial dilutions of lysates were analyzed in this ELISA (see Reagent Preparation step 4). 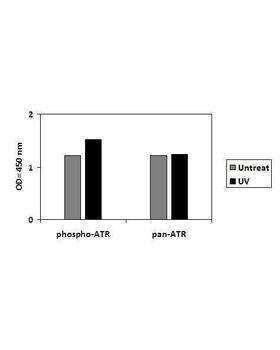 T47D cells were untreated or treated with UV. Cell lysates were analyzed using this phosphoELISA and Western Blot. Upon receipt, the kit should be stored at –20°C. Please use within 6 months from the date of shipment.